Looking for inexpensive or free entertainment? We've compiled a list of events that have no admission charge. Please note, some of the events below may have optional charges for extra items or entertainment such as rides, raffles, etc. 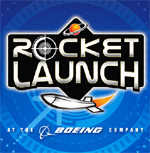 Links to the event are provided that will detail schedules, all activities and optional charges. See our list of Egg hunts, Entertainment, Children's Activities, Easter Brunch, Easter Services and more! Events run throughout the month of April. Easter Sunday is April 21, 2019. For over a century, Dale Carnegie has been improving individual and business performance around the world through professional development and leadership training. Backed by original, international research, participants in this workshop will find opportunities to compare their own organizations cultures with organizations that have high-performing cultures. Urban edible gardening classes for free in an outdoor classroom! No matter who you are, our gardening classes are perfect for you. Every other week Harvest to Home holds free gardening classes for anyone interested in learning more about growing plants. A diverse group of gardeners attend, ranging from those who have never picked up a trowel to veteran gardeners looking to improve their skills and enjoy the sunshine! After the clinic Dana Wharf will be running a fishing trip from 12:45 – 5:45, adults are $46 plus license and equipment, children 12 and under fish for FREE when an adult ticket is purchased at $46 ( 1 free child per paying adult at $46, no discount tickets of any kind are accepted for this adult ticket ). 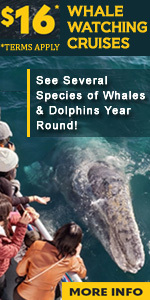 Extra bonus is the chance of spotting whales, dolphins and other marine life! This trip includes equipment! Free First Saturday Tour offers an exceptional on-site presentation of the Bolsa Chica Story. On the first Saturday of each month, their docents gather at the south lot of the Bolsa Chica Ecological Reserve, across the street from the main entrance to Bolsa Chica State Beach. Docents are stationed on or near the footbridge, a truly magnificent entrance to the restored Bolsa Chica wetlands. Tours begin every 15 minutes and five areas of interest are included in the presentation: history, birds, endangered species, ecology and restoration. This free tour is on a first come, first served basis. Except for parking fees, most beaches in Orange County have no charge for admittance. We have a list of some of our most popular beaches by following the link above. Stroll through wilderness or hiking trails, follow an excercise course, watch the kids on the playground or simply and enjoy the fresh air and wildlife. Orange County parks have a lot to offer. Click on the link above for some of our favorite parks. Except for some regional parks, there are no charge for admittance. 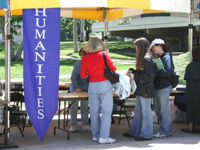 Featuring free events and throughout Orange County. Family friendly events for those on a budget.